Enteroviruses characteristically infect the throat and intestinal epithelium and lymphoid tissue, and then seed the bloodstream. 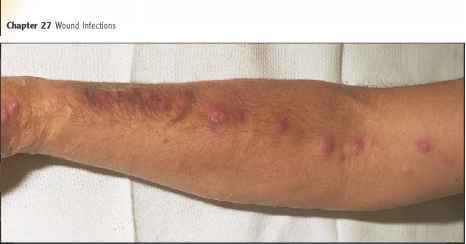 The viremia, meaning viruses circulating in the bloodstream, results in meningeal infection and sometimes rashes or chest infection. The inflammatory response in the meninges differs from bacterial meningitis in that fewer cells usually enter the cerebrospinal fluid, and a high percentage of them are mononuclear rather than polymorphonuclear neutrophils (PMNs). Typically the cerebrospinal fluid glucose remains normal.